Astrology conferences are great fun and can be the highlight of your calendar. If you are a student you may be considering going to your first event or perhaps you are already an experienced professional and a seasoned attendee or you could be somewhere in between. Whatever your level of proficiency attending an annual professional event can inspire you and get the juices flowing. Simply by being present, you open yourself up to appreciate new concepts, modern methods and cutting-edge theories which are constantly being developed. Perhaps you will hear about a recently discovered planet, be exposed to ancient skills or come across a speaker with whom you seem to resonate and who has the missing piece of a jigsaw puzzle which you have been trying to complete. Hearing lectures from local and international speakers can be just what you need. By its very nature astrology can be a solitary affair and you owe it to yourself to make the most of all the seminars you attend. Surviving an astrology conference takes a bit of forward thinking and planning. Below are some ideas on how to navigate through and make event going a rich and rewarding experience and some thoughts on how to be the perfect guest, make the most of the opportunity and leave fired up until the following year. Booking your place early has two benefits. You will receive the “early bird” discount which is quite a dollar saving and by booking early you get the pleasurable anticipation of planning your conference attending strategy well ahead. It also lets the organisers know just how to gear up for the crowds. Once you have booked then the next thing to think about what to pack for an astrology conference . If the registration desk opens at 9:00am and the first lecture starts at 10:00am you should be at the conference centre by at least 7:00am. Personally, I like to get there the night before. Being ahead of time gives you plenty of leeway to find the car park, check into the hotel and inspect your accommodation. Any hitches in the facilities or your room features can be fixed right away. Take your conference payment receipt and any other supporting documents to the registration desk. Make sure you receive the full lecture schedule including all the different tracks being offered. Check to see if there have been any last-minute speaker substitutions which may affect your planning strategy. This can work your benefit as they may bring an interesting person or topic in at the eleventh hour. When you receive the current lecture schedule double check that the session which you specifically wanted to hear is still on. Make sure you know where each room is situated for the talks you wish to attend. Large venues can be confusing places and you want to end up in the right workshop. Try to eat something before the first lecture. Otherwise, someone can end up sitting down next to you who has to listen to you munching away through a carrot muffin, rustling paper bags and leaving a trail of crumbs behind you. We’ve all sat next to someone who stomach won’t stop growling so let’s hope it’s not yours. There is a certain resistance to the wearing of name tags at conferences. It is not to help you, you know who you are, it is so other people can learn your name. When you are introduced to many people at once it becomes difficult to remember all their names. With you name clearly visible it makes you more approachable and other people can confidently address you and you in turn can address them. Hotels and conference rooms are notorious of for being either too hot or too cold. I have seen some attendees wearing the hotel’s bed coverlet to combat the efficient air conditioning. The solution to this hot topic and keep your cool is layers that can be peeled off or put back on when necessary. Women can work their pashminas to great effect here. More than anything professional get-togethers afford you the chance to meet people, practitioners, students and researchers in your field. Be happy to make new acquaintances. If you want to engage with others don’t always sit with your cronies. There will be a percentage of first-time attendees to whom you can reach out and introduce yourself. Remember how you felt the first year? Be prepared to have your contact information at your fingertips. If you meet somebody fun and interesting you don’t want to have to write your phone number or e-mail address on the back of an envelope. It does not give a good impression and lacks professionalism. Business cards are a must at these events. You will need a paper notebook and pen. Most conferences have a “no taping” policy. You cannot use your digital recorder at a lecture where they provide the topics for purchase afterwards. At some hotels, the use of laptop computers is also not allowed during lectures. Conferences and training seminars are held in larger centers to facilitate attendees travel. These cities have much to offer the visitor. Tempting as it may be to rush off and see the sights you need to focus on the workshop content. To get the best out of an astrology conference you can try to attend as many lectures and talks as possible. Tag on a couple of days at the end of the conference to enjoy the features of your host city. In astrology like-minded people, friends and associates are shown by your eleventh house. Before you go to the conference look at the current transits to your natal eleventh house and its ruler. They will suggest the type of experience you will experience within the group dynamic. It also shows you what to emphasize at that particular conference. 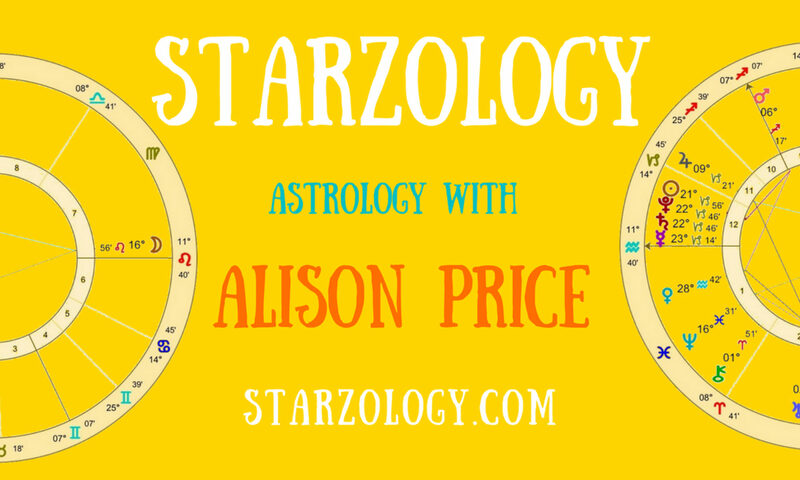 Attending any astrology get-together virtually ensures that you will be listening to astro chatter morning, noon and night and consuming horoscopes for breakfast, lunch and dinner. It is a great opportunity to soak it up and let’s face it how often in your day-to-day life do you have the chance for a serious astrological conversation with those around you? The crystal healers, tarot card readers and booksellers are all selected carefully by the organizers to provide a varied mix and round out your total new age experience. The trade room is an important part of any conference and you would do well to consider availing yourself of their many products and services. Lecturers are encouraged to meet and mingle at the varied opportunities for social gatherings over the course of the event. After enjoying a lively talk you maybe tempted to rush and gush at the speaker. Most teachers are only too pleased to answer your questions but don’t like being ambushed. All the lecturer’s contact details are thoughtfully printed in your info pack, be cool. Just because you are not at home and are in the company of people you’ve never met before does not make bad manners acceptable. If you enjoyed the event you can say thank you to the organizers or send a note. On the other hand, if you experienced some issues, the best way of communicating your concerns is via a feedback sheet which is usually available from the registration desk. Remember to be specific. When you attend a conference you become like an employee. You are whom the event was aimed at in the first place. Seminars and conferences can only exist with the support of astrologers and other interested people. If you wish to keep these valuable resources available it is vital to attend, show your support and spread the word. Whether it is your first or fifteenth conference, showing up and taking part for some or the whole event is a great experience. Not everyone can be there for the whole time but taking in even one day could be all you need. It is a good feeling to have some new techniques to take into your practice, fresh ideas for areas of research and your latest friend’s contact details. You want to leave feeling inspired to pursue astrology further. It makes sense to support annual astrology get-togethers too. By your presenc, these events can continue to grow and evolve. Enabling the organizers to offer State-Of-The-Art practices, theories, and techniques with which to broaden your skills. Astrology is diverse and has many avenues to be pursued. Discover your niche interest and rekindle your passion by attending astrological conferences. If you have attended astrology conferences in the past think back to how organised you were. I bet you can improve your conference experience for the next time.